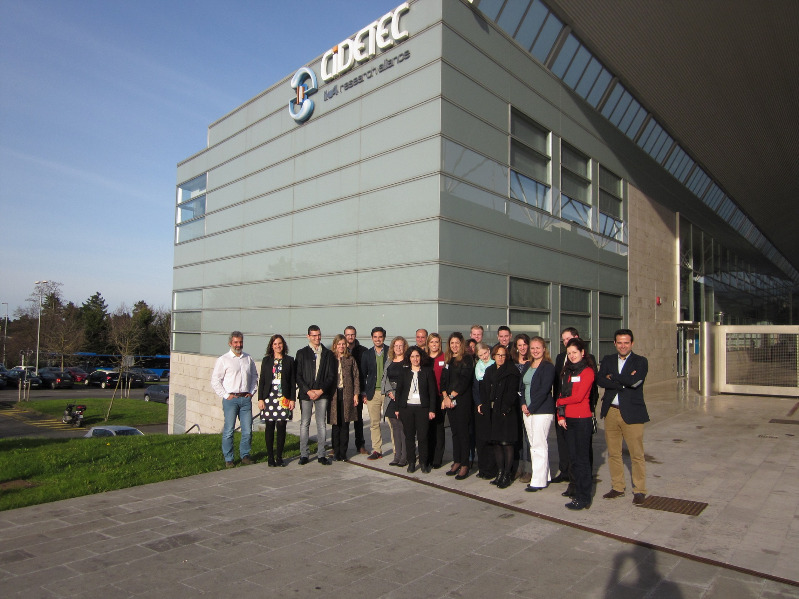 The official meeting to launch the NanoPilot project was held on 14 and 15 January at CIDETEC. This initiative aims to build a pilot line for the production of polymer-based nanopharmaceuticals in compliance with GMP (Good Manufacturing Practices) standards. By funding this project, with a total cost of €6 million over four years, the EU wants to increase the transfer of technology to the business sector, and thus to society, in order to promote the production and validation of new nanotechnology-based drugs. As already published in several media outlets that have picked up the news, the manufacturing of these products cannot be easily implemented in existing manufacturing plants at large companies, which are specialised and optimised for the production of conventional drugs. Moreover, small businesses and research centres generally lack the resources to scale and implement manufacturing of new nanopharmaceuticals with GMP standards. Therefore, these organisations are limited in terms of research advancement, resulting in a slowdown in the development of innovative nanopharmaceuticals for the treatment of different diseases. The consortium partners had the opportunity to visit CIDETEC’s new facilities, the site of the new pilot plant that will allow the partners to carry out product development through to clinical stages, a phase that requires batches of products manufactured according to strict quality standards. Along these same lines, the meeting also served to bring to light the different specifications that must be taken into account in order to comply with the standards required by the Regulatory Agency for Medicines, as well as to develop a work plan based on the needs of each of the innovative developments proposed by the consortium members. The NanoPilot project has begun designing a plan that ensures that the pilot plant obtains GMP certification, in turn making possible the GMP-compliant production of three nanopharmaceuticals based on polymeric nanoparticles for different diseases such as interstitial cystitis or painful bladder syndrome, dry eye syndrome and a new HIV vaccine. Through this research, CIDETEC and the NanoPilot members will strive to position the project at the forefront of international nanomedicine, responsibly facing the enormous challenge of contributing to the betterment of society by successfully achieving the project’s objectives. Consortium: UT2A-ADERA (FR); National University of Ireland, Galway (IE); Universidad de Santiago de Compostela (ES); Sylentis (ES); Chemtrix (NL); iX-Factory (DE); Mejoran (ES); Spinverse (FI) and CIDETEC (ES).